This demographic has been alive since the UN Framework Convention on Climate Change began with the Kyoto Protocol in 1997. This is the important demographic who have a growing awareness of the environmental issues that they have inherited; and the fact that they will have to deal with them as adults. They will thus have a strong impact on environmental decision-making; first by their parents and second as they become adults. Understanding how this demographic thinks and behaves is of great interest to companies and policy makers. 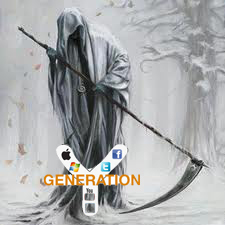 And also in the essay Introducing “Generation Carbon” v4. 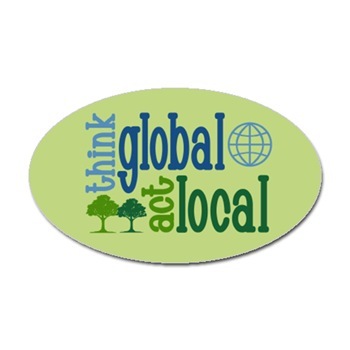 the common assumption that Generation Y will seize the initiative to address sustainability threats was not borne out in the attitudes we found in our focus groups. Many were skeptical about financial approaches focusing on investment opportunities in the low-carbon economy. There are signs that this cohort may actually feel less agency and empowerment to influence their environment than previous generations. Based on the polled attitudes of “Generation Carbon”, the future is bleak; because they have given up already. Please download and complete the survey here to see if this conclusion is confirmed. The myriad costs of future climate change are being greatly underestimated, according to a new paper recently published in The Economic Journal. Written by Nicholas Stern and Simon Dietz of the Grantham Research Institute on Climate Change and the Environment, the report warns that previous estimates on the potential costs of climate change are likely to be very far off the approaching reality — largely as the result of outdated economic models, and ineffective carbon-trading programs that undercharge polluters for their emissions. Over the past decade, Americans have clustered into three broad groups on global warming. 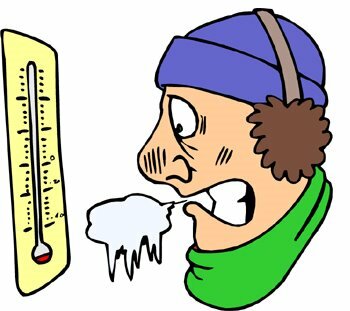 The largest, currently describing 39% of U.S. adults, are what can be termed “Concerned Believers” — those who attribute global warming to human actions and are worried about it. This is followed by the “Mixed Middle,” at 36%. And one in four Americans — the “Cool Skeptics” — are not worried about global warming much or at all. The “Cool Skeptics” always seem to have trouble during recessions, but they are consistently making up ground on the other two groupings. 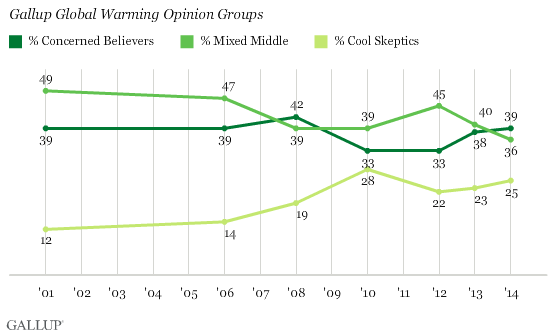 It now seems that it is becoming a two horse race between the “Cool Skeptics” and the “Concerned Believers”. According to leading market research company Ipsos MORI who have recently conducted a new poll, there are more young people in favour of offshore wind development than there are in favour of fracking. Image reproduced with the kind permission of Carbon Visuals. 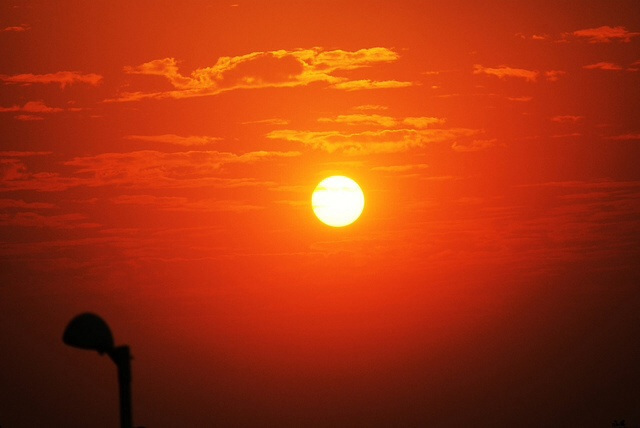 If we could see carbon dioxide, would we take it more seriously? Carbon Visuals provides the materials for the test. Look at the gallery of images below and then ask yourself if seeing is believing. 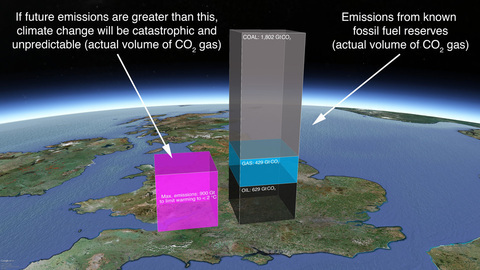 The pink cube is the actual volume of carbon dioxide gas we can emit and still have a chance of keeping global warming below 2 °C. It is 81 km high (51 miles). The other volumes are the emissions from the proven reserves of fossil fuels. 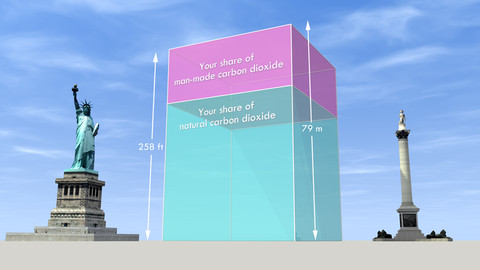 The pink cube, which is 78 km high (49 miles) is the actual volume of our ‘carbon budget’: 900 billion tonnes of CO2. 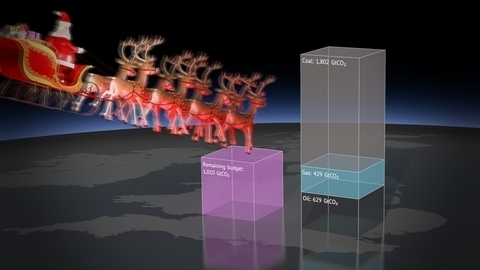 The shapes to the right show the emissions from proven reserves listed in Global Energy Outlook 2012. If all the carbon dioxide in the atmosphere were shared equally amongst every person on the planet (7 billion of us) this is how much we’d have each – 446 tonnes of it. 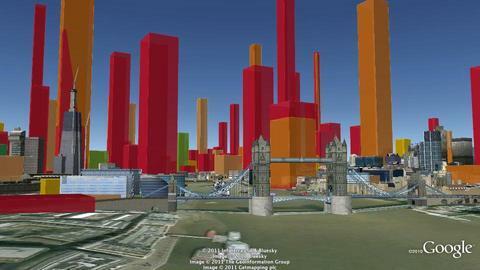 The ‘carbon canyons’ of the city of London. 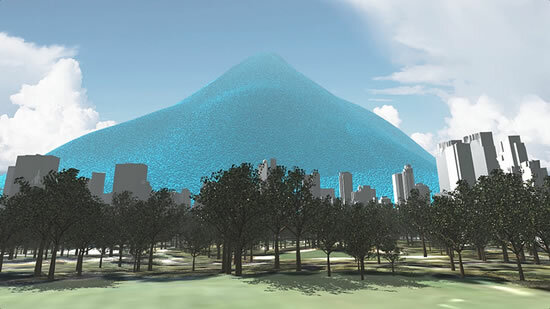 Each tower represents the annual carbon footprint (2009/10) of a public building. Why don’t you provide the answer in the Poll below? And whilst you are at it, why not take my Survey? 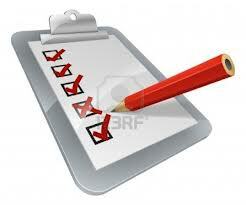 Please download and complete the survey here. A big thanks to Carbon Visuals for permitting me to use their images. 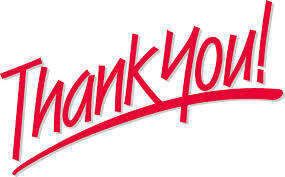 A big thank you to every one following my blog and completing the survey. 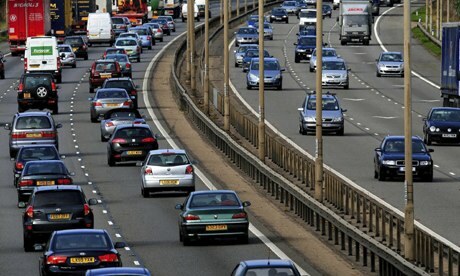 Speed limit on 34-mile stretch of M1 to be limited to 60mph to cut air pollution. This seems a little arbitrary. What about hybrid or electric cars? 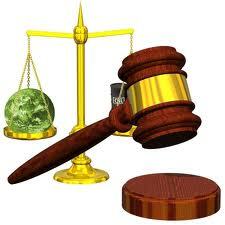 Is it fair to make cars that are lower CO2 emitters drive at the same reduced speed limit as larger CO2 emitters? Maybe speed limits should be regulated by the amount of vehicle CO2 emissions. What do you think? Take the Poll below to express your view. Interesting way for a government to “encourage” the power generating industry to pay for the investment in clean energy.